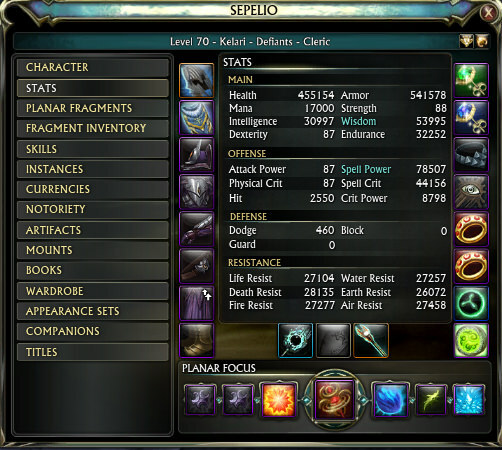 This is a pure mele build either for open world play, or if your raid needs some extra AoE healing and a brez. It lacks a cleanse but you can definitely solo heal a TDEZ in this spec if you're geared enough and still provide 600-800k dps. It works from a maximizing your life damage potential. There may be a few ways to optimize this spec further, and i'm definitely open to suggestions. Setup macro x 3 so that life surge appears on your target. Once the setup is done just spam your spam macro until 7 mandates appear. Then Use Hammer of Duty. Refresh Fervent Strike as needed. If Life surge disappears from your target that should be the first thing you refresh. But Essence Strike should keep it up for you. Light Makes Right is a Buff that you get form using Hammer of Duty. (See Kalert) It should always be up if you're using Hammer of Duty as soon as you have 7 convictions. But make sure it's always up. Last edited by Skiye; 08-28-2018 at 08:37 AM. Last edited by Staarscream; 08-26-2018 at 08:29 AM. Hey did you play it lately? And with what results /whats the hps on 10 people? i have to admit i haven't tested it yet but leg. Even Justice instantly provides 7 convictions when striking 1 target so may this be better for Hammer of Justice or does the Druid part provide Convictions quick enough? While having a Taunt anyway how about the bos 1st offtank potential ? I used to use this on tdez speed runs as the healer with a primalist or Archon support to handle cleanses/buffs. I haven't used it lately since I have more captured intel than I know what to do with these days lol. 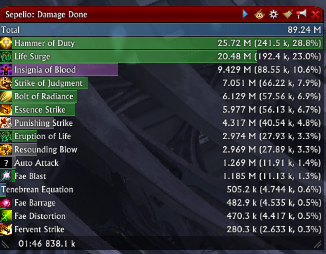 Even Justice was a dps loss in the end due to Strike of Judgement doing much higher base damage and getting a huge boost from Light of Creation IIRC. I remember testing both methods when I was coming up with the spec. I don't remember what my actual heal numbers were but they were sufficient to keep the group alive in TDEZ. I don't think this spec would be useful for much in T2 raids. As for BoS off tank, you'd likely die instantly due to legendary hits. Last edited by Skiye; 01-04-2019 at 05:13 AM. As for BoS off tank, you'd likely die instantly due to legendary hits. Legendary hits seem broken in BOS. If that's the case a point into mein of leadership would probably make this a kick-*** offtank. Last edited by Skiye; 01-04-2019 at 04:21 PM. 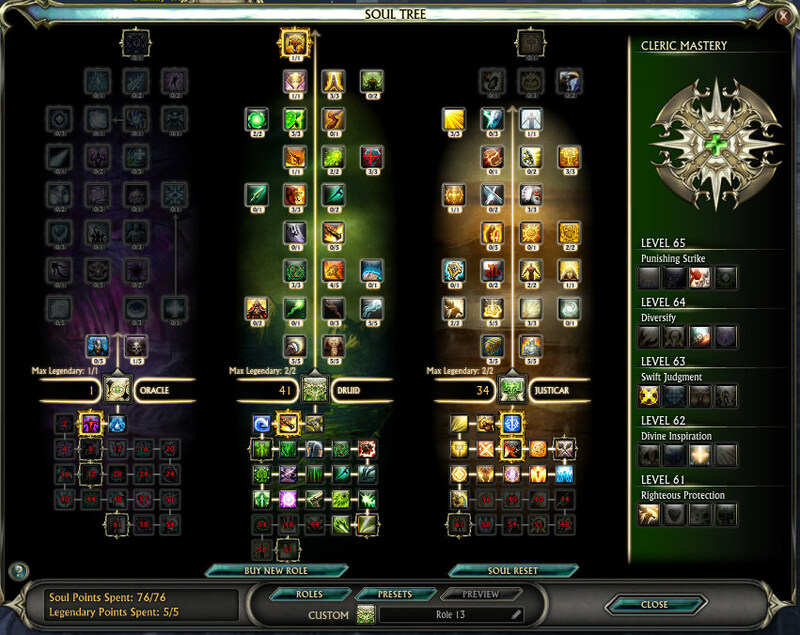 My one concern, especially for Isiel, is Rebuke is 44 points up in the tree and is really handy for the add phase. There's ways to work around that, but could be a bit of a pain. 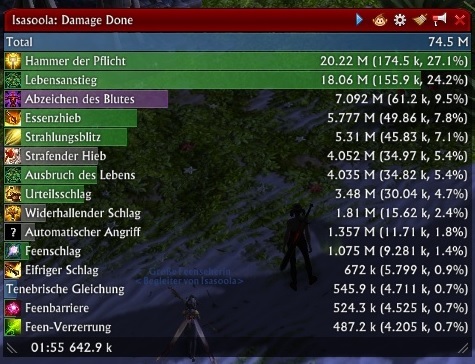 I did some playing around last and was able to do close to 500k DPS in full tank gear with 0 buffs and mein of Leadership. Hardly any CP definitely showed but still a nice result. I'd imagine that would easily be in the near the 600s with full raid buffs and cooldowns. I also tested what DPS would be like at range, losing the resounding blow buff definitely hurt a lot but was around 250k. Still not bad for an offtank. So 72k for salvation 45k from faerie pre raid buffs. So 117k hps for the raid pre buffs. I did not have the cleric eternal buff on. I wodner if the 65T3 healing totem applies to the feary heals, which is basically the fastest ticking cleric heal.